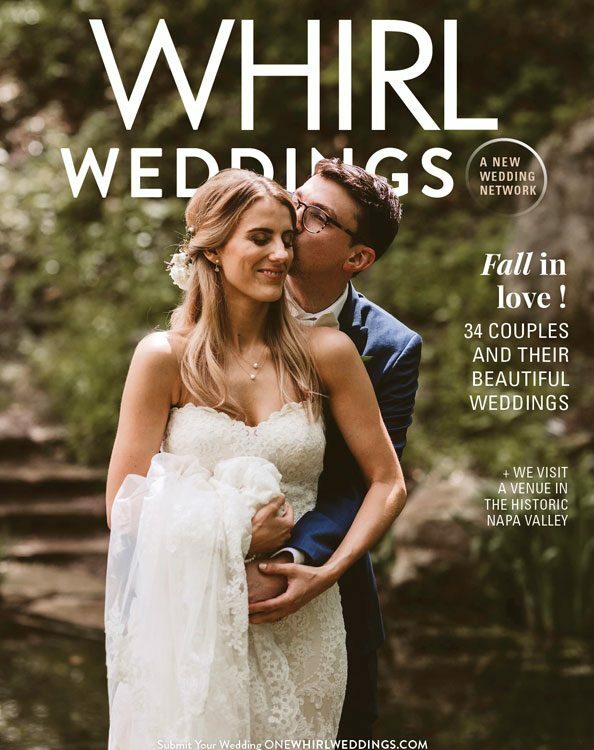 Our Bride featured on the cover of Whirl! Relax! We have planned together for this important part of your big day. The trial run is over and we know exactly what our final look will be. Sit back and let us make your hair beautiful for your wedding day. On your wedding day, we will arive at the agreed time and destination, this can be your home, hotel, or venue of your choice, as we will bring everything to you with plenty of time to ensure that you and your entourage are ready in time. To achieve your desired look, you may require other services before your wedding day. This may include a color or haircut. In which case, we can draw up a pre-wedding hair plan to ensure your hair plan to ensure your hair is healthy, glossy and vibrant in plenty of time for your wedding day. Our brial service begins with a thorough consultation discussing all your ideas, thoughts, and aspects of your wedding day. We have found it truly beneficial to have a trial run as it instantly removes one of the biggest causes of stress on your wedding day. All appointments require a deposit/credit card number on file to hold your scheduled appointment. If for any reason you need to cancel we require 14 day notice or you will be charged 50% of your wedding party. If you cancel 48 hours prior, you will be charged the full amount. If you have any questions or concerns please contact us at 412-344-6696. We will come to you and style your entire wedding party. Please contact the salon for more details. Prices will vary depending on the location and size of your bridal party. Note: outside of Pittsburgh city limits, travel package pricing will change. Brides: If you have four or more people from your party wanting eyelash extensions for the special day, using the bride’s last name they can receive 30% off of a full set. Check us out on the Knot!